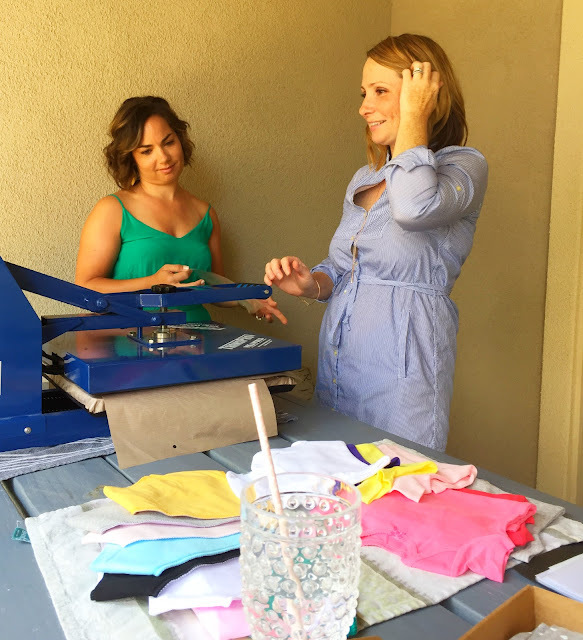 A few months back I organized a baby shower onesie decorating station at my friend's baby shower. 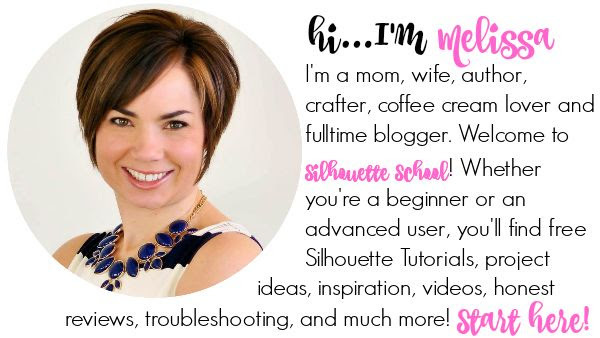 I shared a few pictures on the Silhouette School Facebook and Instagram and you all went crazy. Today I thought I'd give you some tips on how I did it so you can pull it off too. 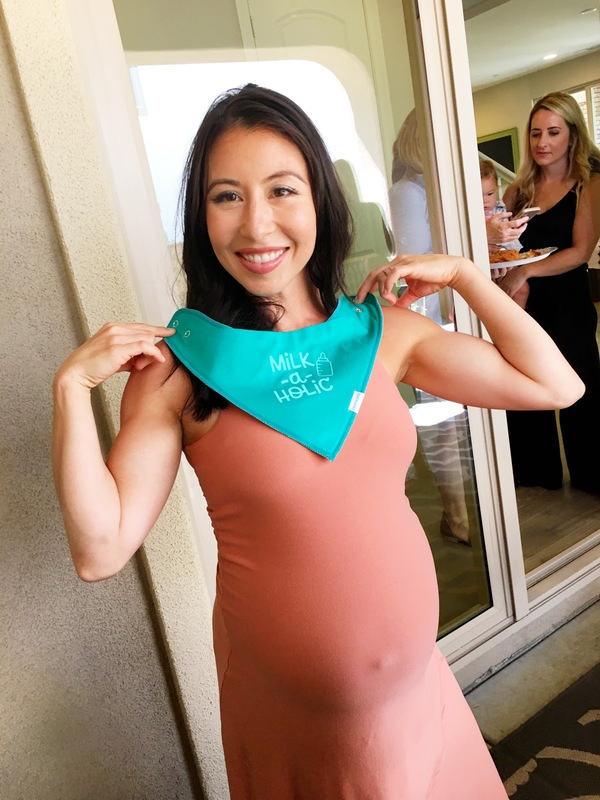 Believe me it's more fun than baby shower games! In full disclosure I usually plan out tutorials so I take lots of pictures along the way. 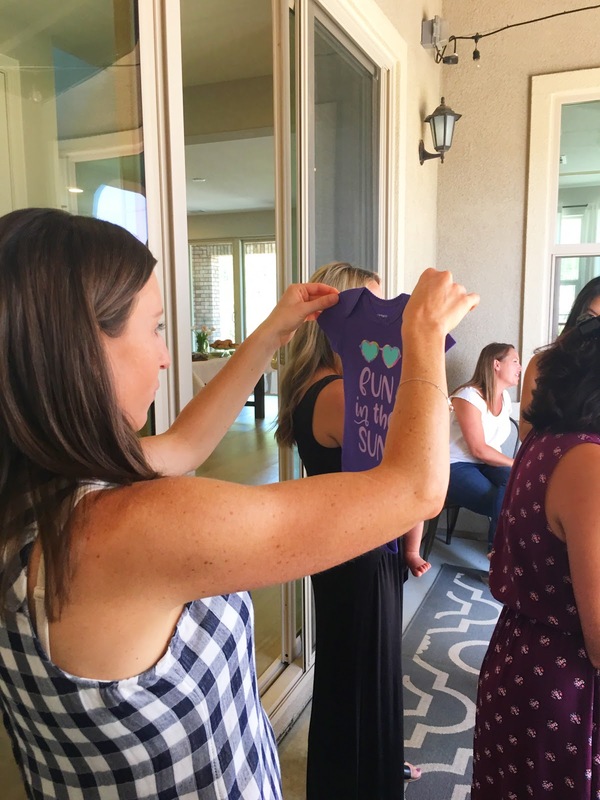 This was not the case with the baby shower onesie decorating station. 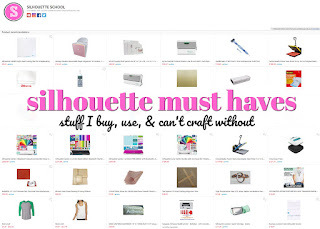 I never planned for this to hit the blog so I scraped together as many pictures as possible to help show you exactly how this worked! Start by pre-purchasing all the baby clothes. I purchased a mixed color pack of baby bodysuits as well as a variety pack of colored bandana bibs. I got both on Amazon. There are a lot of options, but I went with this 8 pack of bibs because they were all solid colors. Then I found my designs...for me this was the most challenging part trying to find enough baby designs in my collection. For that reason I thought I'd make it about 200% easier on you! 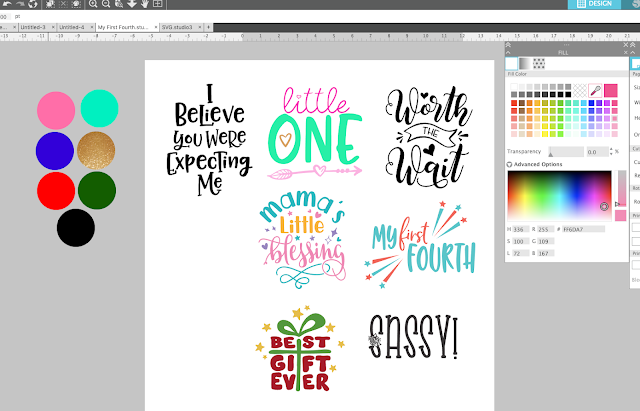 I specifically put together the Baby Bundle on So Fontsy which includes a great big variety of baby SVG and PNG designs to cover holidays, seasons, and every day - along with a good mix of gender neutral and designs specific for both boys and girls! 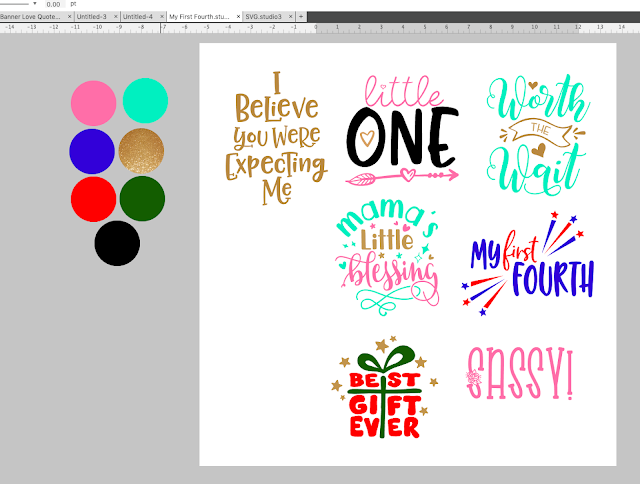 Count up how many bibs and baby outfits you have and then match that to the number of designs. 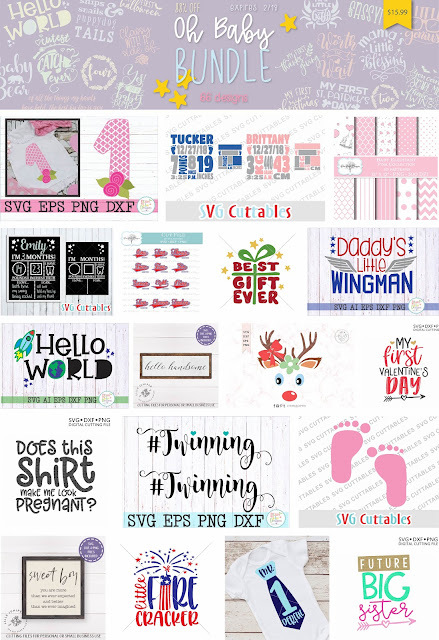 You can bulk import the baby designs you're going to use into a folder in your Silhouette Studio library if you want by bulk downloading, unzipping, and dragging and dropping. 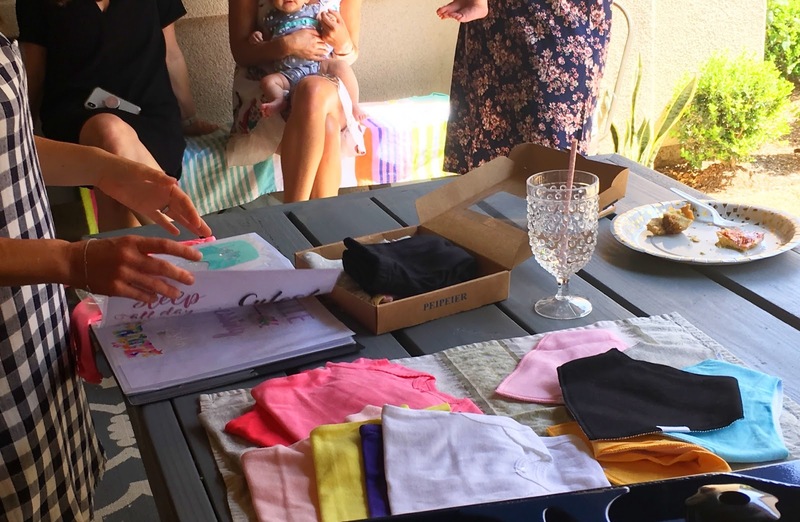 Next decide which designs will go on the bodysuits and which will go on the bibs. 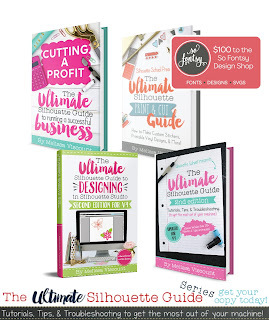 You need to decide this ahead of time because you'll have to size the designs. 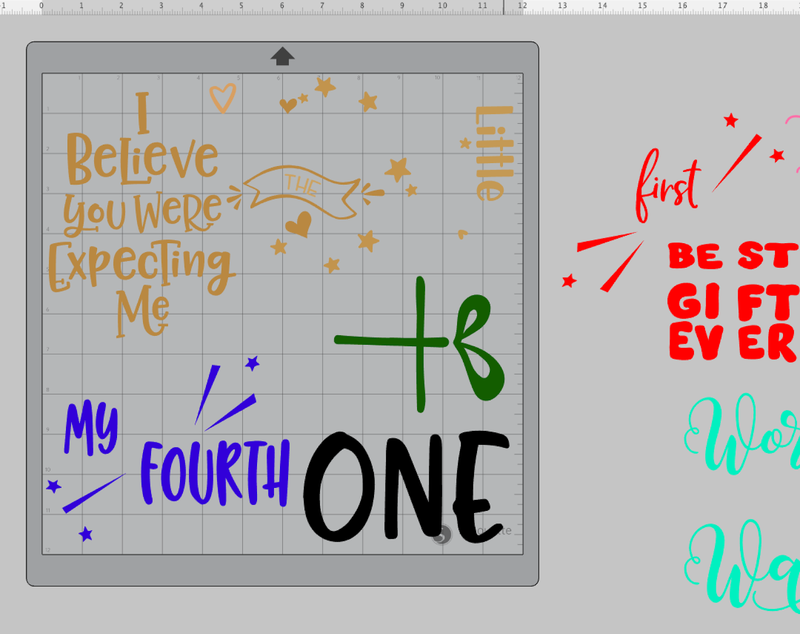 A design that will fit on the baby outfit is most likely going to be too big for the bib. 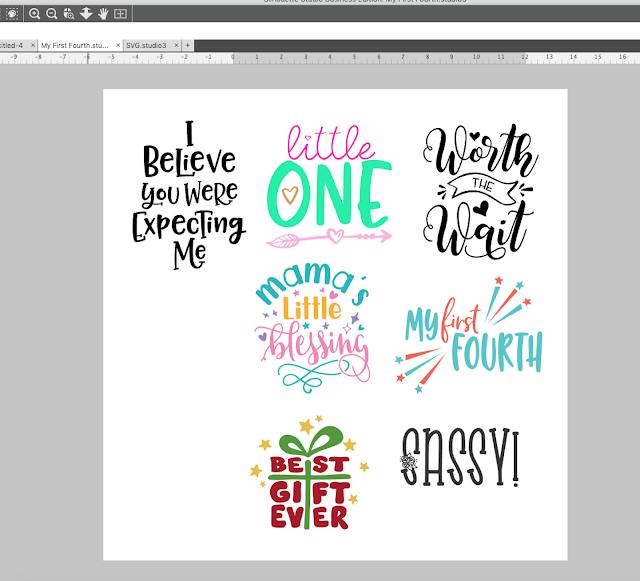 I would suggest pulling ALL designs for the baby outfits into one work area. Size them all about the same size so they will fit on the bodysuits. Do the same thing in a separate work area for the bib designs. Now...this is the part where it can get a little tricky and where I'm going to tell you how to make it a little easier on yourself. Right now all my designs are displaying with the original colors selected by the designers. This doesn't mean I have to cut on those colors though. 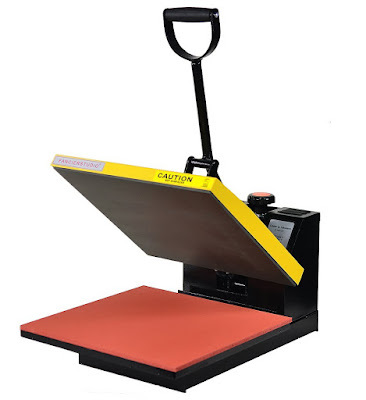 In fact, I would suggest you focus on a limited number of colors so you're not cutting 20 different colors of HTV. The circles I have on the left side each represent an HTV color. I just drew out a circle and use the Fill panel to fill each with a color to match my HTV. 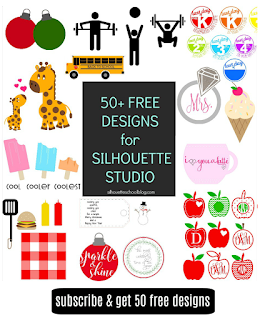 Change all of the colors of the designs in Silhouette Studio selecting from your limited selection of colors. It will save you A LOT of time cutting if you cut all elements of all designs within a certain color range. 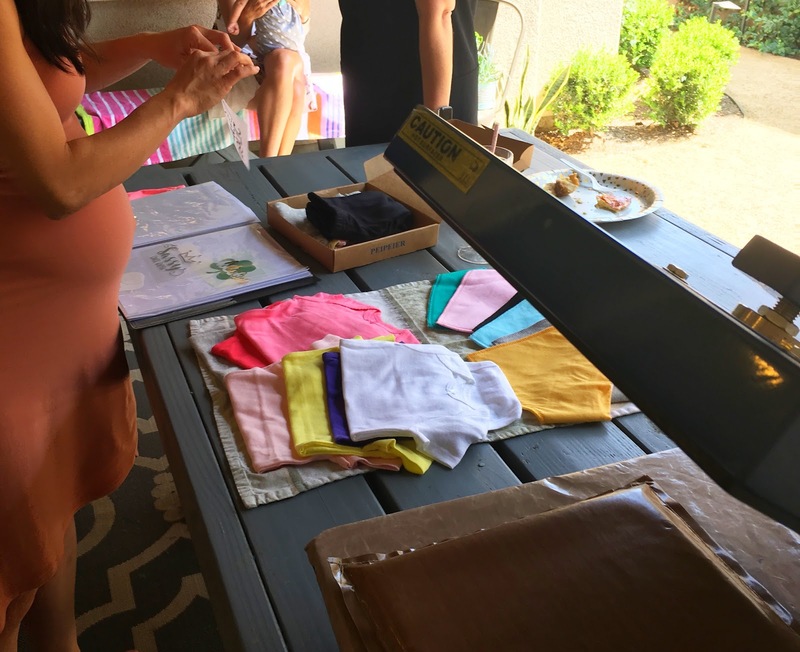 Once all designs have been re-colored, ungroup and separate the designs themselves by color, and cut all colors for all designs in a single cut. Pre-weed all the vinyl so your guests aren't doing it. 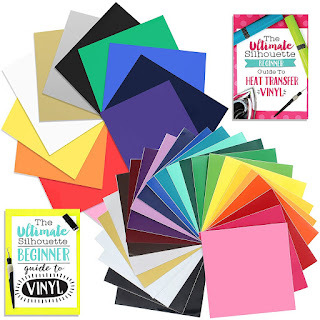 Once all colors of HTV are cut, stick all pieces of each design on a clear sleeve in a binder. Be sure to keep onesie and bib designs separate. 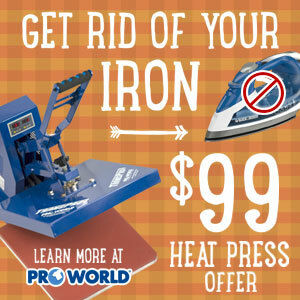 I would NOT suggest you attempt this with an iron - but instead a heat press or an Easypress. 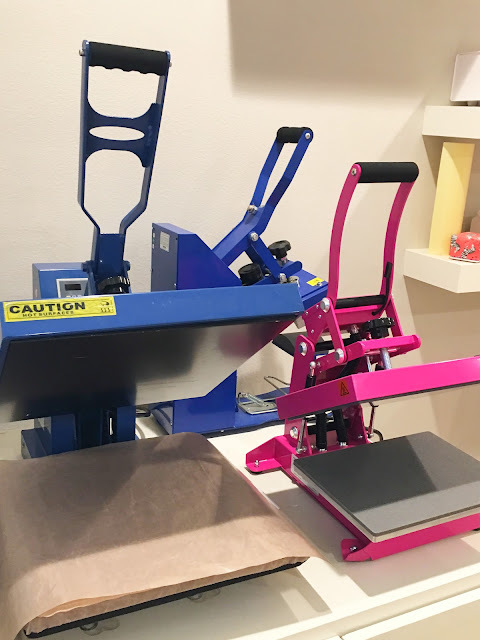 I used a 15x15 heat press, because at the time that's all I had. But a smaller 9x12" heat press - like this pink heat press - is much lighter, more portable, and perfect for pressing on the go! Once you're all set up, have the baby shower guests pick out a shirt or onesie and then select an appropriately sized design. You want to be helping your guests with this because remember you are the experienced one. Finally guide them through applying the layers of HTV. 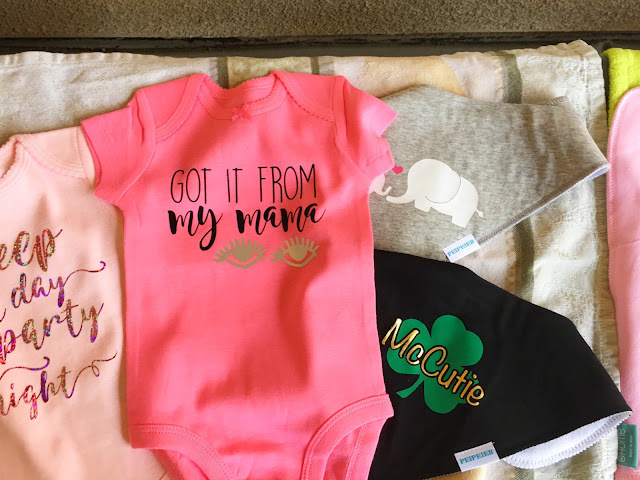 By the time you're done, the new baby will have an adorable collection of personalized outfits and bibs!! 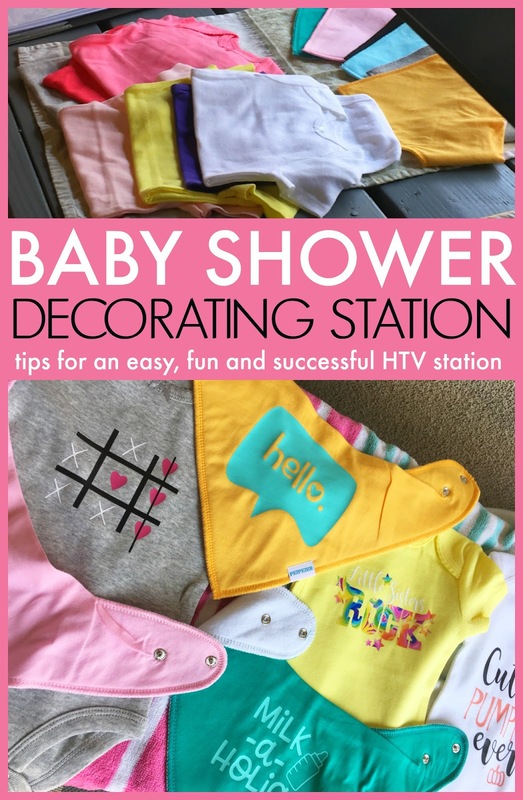 Now that you know these tips for pulling off a successful baby shower onesie decorating station, grab the Baby Bundle from So Fontsy! 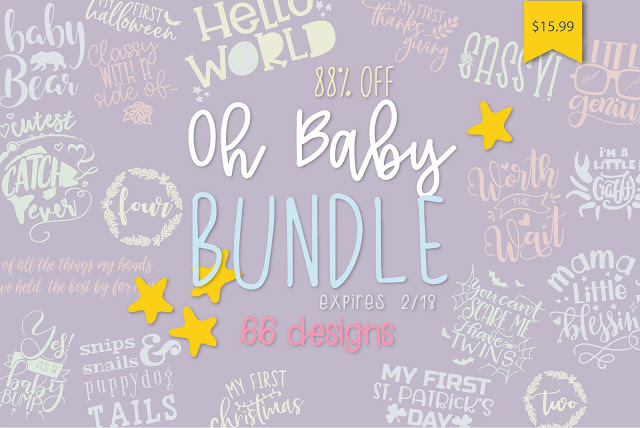 Hurry though the bundle expires February 18, 2019!